Reaper Molly in her pajamas. ...Still a Justin voodoo doll. this is REALLY cute! also, is this inspired from a game or something? if so, what game? 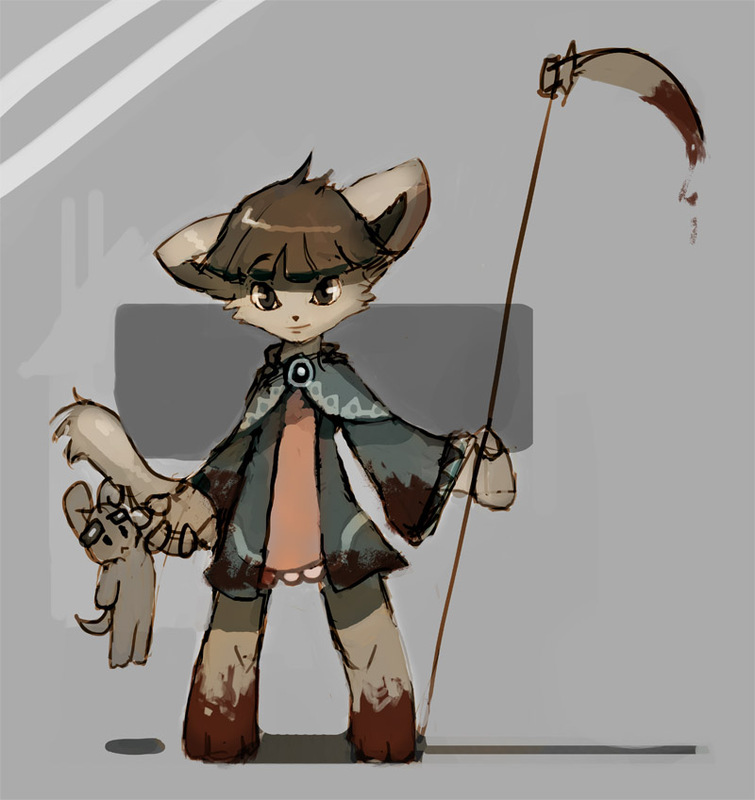 for critique, the scythe could use some work... she kinda looks like Norm from the game Atelier Iris. lol. and the blood is red. not brown. but still, very cute! Thanks for the critique, Kitson. :3 I love it when people point out flaws that I might have missed. Nah, no game inspiration here. Just another style experiment. Everybody loves Necrololi Molly. And/or Molly in general. why dose everyone think of Lucy as some killer that wields a grim reaper scythe?